Believe it or not, other quarterbacks know the pain Mitch Trubisky is going through. He’s a former high draft choice. He has immense expectations on his shoulders and he wasn’t the most polished product when he arrived. It’s not an uncommon story for that position. One man who can relate to that, and to the big problem he’s having now is Steve Young. Most people remember him these days as a Hall of Famer. A man who took over for the great Joe Montana and extended the San Francisco 49ers dynasty into the 1990s. He’s a two-time league MVP and won a Super Bowl in 1994. Most just assume he was always one of the greatest passers of all-time. Yet he’d be the first to tell that was far from the case. When his pro career began, Young was anything but a “passer.” He was more of a running back who happened to have a good arm. There was no questioning he had the talent and potential to become a true quarterback, but it was going to take time for him to learn the position to the right way. His biggest issue? The same one that Trubisky is dealing with now. People might not remember Young didn’t actually start his pro career in the NFL. He spent two seasons in the former United States Football League in the mid-1980s. There he was introduced to a coaching legend in Sid Gillman, considered the father of modern NFL offense. He was the inspiration to Bill Walsh who eventually developed the West Coast offense that made Young a star later in his career. Gillman was not impressed when he first arrived. While Young could run, his passing skill was completely raw. What was the problem? Gillman may have had a point. Young completed just 56.42% of his passes in the USFL with 16 touchdowns and 22 interceptions. Luckily he was left with the knowledge of how important footwork was and would put it to great use a few years later in San Francisco. There it was Walsh who took up the job of lecturing him on the importance of it. This is the problem that has bedeviled Trubisky since he got to the NFL. Like Young, he came in with lots of athleticism, a great work ethic, a fiery competitiveness, and leadership qualities. However, he was no a polished passer. While he could throw with deadly precision at times, he has a tendency to over or underthrow balls from the pocket. Why is this? The same as it was for Young. On the surface, this looks like a simple case of Trubisky just putting a little too much juice on the ball, right? Watch the play a little closer. He does a good job of standing in the pocket but when he starts his throwing motion, his left foot is planted at too wide an angle. This opens up his hips too much, leading to the ball sailing on him. Compare that to the throw he had to Allen Robinson in the second half. This time everything is perfect. Trubisky stands in the pocket like before, but his left foot is closed it a bit more towards where he’s going with the ball. As a result, the pass drops right into the bucket, hitting Robinson in stride for a 39-yard gain. It might seem like such a small adjustment, but that’s the NFL. The smallest mistakes have big consequences. That’s what Nagy’s offense is working to teach him. It comes from the breeding ground of the West Coast scheme where timing, rhythm and reading the field is crucial. Young believes the system while challenging, will make most quarterbacks a more polished passer. That last part is key. The only way to get better at correcting this footwork issue is to play. Is to gain experience. Trubisky just went through game #3 in this system. His head is swimming trying to keep up with all the complexities while diagnosing defenses in a matter of split seconds before and after a snap. It’s little wonder he’s looked tentative. 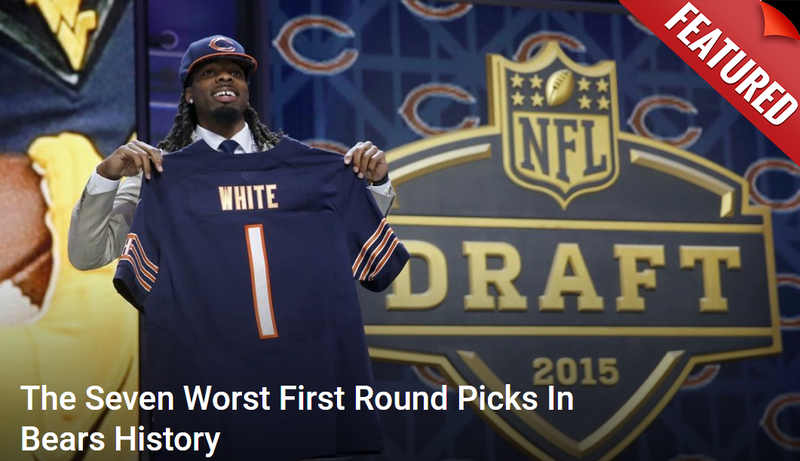 It may not be what Bears fans want to hear, but it’s the truth. They must let this thing play out. Patience is key. Trubisky can’t get better at this if he’s not allowed the time to work out the kinks.